Tronc cited financial pressures in gutting the New York Daily News, a major force in local coverage. It has won Pulitzer Prizes and been a thorn in President Trump's side. Tronc said in the memo that the Daily News would be "re-focusing much of our talent on breaking news — especially in areas of crime, civil justice and public responsibility." Tronc purchased the famed New York City tabloid last fall for $1 in a reunion of sorts; the paper was founded by Tronc's corporate predecessor, the Tribune Co., in 1919 and sold off in 1991. The Daily News endured waves of cuts under subsequent owners and declining paid circulation in recent years though it has remained on most lists of top 10 circulation papers in the U.S.
Tronc is the owner of other papers in Chicago, Baltimore, Hartford, Florida, and Virginia, among others. Tronc's continuing cuts and shift in emphasizing quick-turn pieces for digital audiences led to successful unionization drives at both the Los Angeles Times and the Chicago Tribune, then its two largest papers, earlier this year. Tronc subsequently sold the LA Times. Last fall, the Chicago Tribune called Tronc's acquisition of the Daily News "a stunning and bold bet on the future of newspapers." Tronc's CEO (and now chairman) Justin Dearborn said at the time, "We expect it to benefit greatly from becoming part of the Tronc ecosystem." The move now to gut the Daily News's newsroom will be a blow to local watchdog journalism in the nation's largest city. It has retained a punch in local news at a time when the The New York Times and The Wall Street Journal have retreated from metro coverage. The Daily News won a Pulitzer Prize last year, its 11th, with ProPublica, for its exposure of how the New York Police Department used an obscure civil enforcement law to evict hundreds of poor people from their homes without their being able to challenge the move first. The paper has also made a meal of the Donald Trump presidency from the populist left, depicting the New York-based real estate developer, long familiar to readers of its gossip pages, as a malevolent, autocratic and cartoonish figure. Former Daily News editor-in-chief Jim Rich was rehired as the tabloid's editor after Tronc acquired it last September. Rich and Managing Editor Kristen Lee are out as part of the cuts. Rich made his anger toward the cuts known on Twitter, first by tweeting early Monday morning: "If you hate democracy and think local governments should operate unchecked and in the dark, then today is a good day for you." He subsequently changed his Twitter bio to this: "Just a guy sitting at home watching journalism being choked into extinction." Tronc has appointed a new editor-in-chief, Robert York, previously editor and publisher of the smaller Tronc sister paper, the Allentown (Pa.) Morning Call. Since the year began, we've worked hard to transform the New York Daily News into a truly digitally-focused enterprise – one that creates meaningful journalism, delivers it more quickly and more frequently, and develops new approaches to engage our readers. We've gained a deeper understanding of our readership. We've redefined our structures. But we have not gone far enough. To capture the opportunities ahead and address the significant financial challenges we have faced for years, we are fundamentally restructuring the Daily News. We are reducing today the size of the editorial team by approximately 50 percent and re-focusing much of our talent on breaking news – especially in areas of crime, civil justice and public responsibility. We know our readers look to us for a unique point of view, and we believe these topics offer our best opportunity to differentiate our reporting. We will, of course, continue to cover local news, sports and other events, but our approach will evolve as we adapt to our current environment. 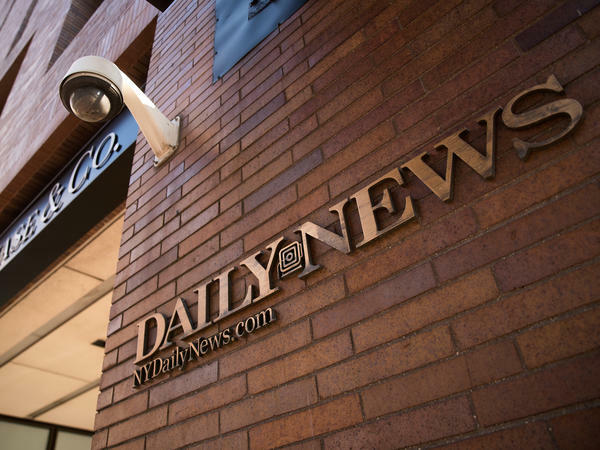 With our established digital prowess, the Daily News is in a solid position to lead tronc's transformation and become the newsroom of the future. But realizing that potential requires committing to our digital audience and focusing our resources on the content and approaches that our readers find most relevant. I know this is difficult news to hear and want to assure you we are working hard to treat each employee with respect and to make the transition as smooth as possible. With the exception of a few particular employees who are not in the office today, Human Resources will communicate with everyone leaving the Daily News by the end of the day. While our colleagues exiting the business will leave immediately, they will continue to be paid for the next 90 days and be eligible for transitional benefits after that. I hope you will all join me in thanking our departing colleagues for their many contributions to the Daily News and wishing them well in their future endeavors. The decisions being announced today reflect the realities of our business and the need to adapt an ever-changing media environment. They are not a reflection on the significant talent that is leaving today. Let there be no doubt: these colleagues are highly valued and will be missed. Among the changes, Jim Rich and Kristen Lee will be departing. Both of them have handled their responsibilities with professionalism and grace under difficult circumstances, and we wish them the best.With that, I am pleased to announce that Robert York will be joining us as editor-in-chief, effective July 30. I have had the pleasure of working extensively with Robert over the course of this year, when he served as publisher and editor of the successful Morning Call news properties in Allentown, PA. Prior to that, Robert was the vice president of strategy and operations at the San Diego Union Tribune where he was a major contributor to their successful reimagining of the business. I know that many of you will have questions, and we are committed to answering them as quickly as possible. Our editorial leadership is also hearing the news for the first time today, so we will be spending time this morning to help them better answer your questions and support you during the day. Thank you in advance for your patience, understanding and professionalism as we work through this vital transformation. The newsroom of the New York Daily News is being cut by half. The newspaper Chicago-based publisher Tronc bought the famed New York City tabloid last fall for just a dollar. Now it says it wants to restructure the Daily News. The newsroom staff learned of the cuts this morning through a memo, and NPR's media correspondent David Folkenflik got ahold of that memo. Good morning, David. KING: So why is Tronc cutting so dramatically the size of the Daily News newsroom? FOLKENFLIK: I think because it can. I think because that's been its model as other - at its other newspapers is to cut and cut and cut. There are obviously real pressures in the industry to which it, the company, alludes in its memo. And it wants talk about meeting the digital moment, taking advantage of the opportunity of ways to distribute information. But cutting a newspaper that has, by the way, been subject to rounds of layoffs under previous owners to this degree, 50 percent, is almost unimaginable in a single swoop. And I think it's doing it because of the intentionality that it has shown under the current controlling ownership of Michael Ferro to, you know, wring out every possible cost and to try to get every possible dollar of profit for its corporate ownership. KING: Well, what other properties does Tronc own, and what has it done with them? Has it made similar moves? FOLKENFLIK: There have been deep cuts at places - the Chicago Tribune, the Los Angeles Times, its two largest papers until earlier this year. And the reason I say until earlier this year is that the cuts at those places led to successful unionization drives at both places and that drive led in Los Angeles to the sale of the LA Times and its sister paper in Southern California, The San Diego Union Tribune. Tronc didn't really want to deal with a union at its largest newspaper, and it lost the romance for it. So this is really a point of contention for Tronc. It is seeking, as have certain other corporate owners, the folks who own Digital First Media - but really to wring - cut not only muscle and bone but into marrow at times. KING: The editor in chief of the Daily News, Jim Rich - kind of a legend in New York and even outside of New York, I suppose - he's been fired. What's his reaction been? FOLKENFLIK: He's been very angry and hurt. He, this morning, said, you know, if you - effectively, he said if you are a fan - if you hate democracy and think local governments should operate unchecked and in the dark, then today is a good day for you. And as this was being announced, he changed his Twitter bio to read just a guy sitting at home watching journalism being choked into extinction. KING: Well, I guess he's not one to mince words. FOLKENFLIK: Noel, a newspaper tabloid editor, you know - he knows how to pack a punch. KING: (Laughter) Usually isn't. Let me ask you something. You know, New York has a lot of papers. Rich is making this argument that this is a big blow to local journalism. Is he right? FOLKENFLIK: It's hard to think otherwise. The New York Times really has cut back its metropolitan and its city coverage. It's looking to do, you know, some impressive enterprise work. It's still doing watchdog journalism, but it's not covering the five boroughs of New York or what's called the tri-state area here to anything like same degree. The Wall Street Journal under Rupert Murdoch ventured into those grounds and really pulled back, as well. KING: And it sounds like the reaction in New York today among people in media and with - outside of media has been just kind of heartbreak. FOLKENFLIK: I think it's been heartbreak and anger that outside corporate figures would do this without an appreciation for New York. This will certainly take a toll on the journalism in the city as it's currently constituted. KING: NPR's media correspondent David Folkenflik. Thanks, David.